I've come across some many great resources on budgeting when you have children. However, I haven't seen anything on severing the summer with teens which can be really expensive. As you know my son turned 13 this year and boy he has turned into Mister independent. I wanted to share with you guys some tips that I will be using this summer to get through the weekly outings with his friends. If you have a lot of community outings in your town on the town green which our Teen/family orientated, I would suggest writing down all of the upcoming events and strategically setting a spending budget for each event. Seeing how most teens don't know if they're attending the event until the day of. I would suggest planning around all events. For instance, Our town has a local Derby every year that a lot of the teens hang out at. Since this was the first year my mini-me went with his friends he had a set amount that was given to him. I suggested to him that he doesn't spend all of his money in one place. He mentioned that he would be eating at the local Subways which I thought was a great idea. I had a couple of coupons on hand and gave him enough for him and his friends. It's not going to save him a ton of money. But saving something is better than nothing. Yup, I remember this age. My son wants to go to the mall pretty much every weekend. Is he allowed to go every week, No! However, I have explained to him that when he does go it would be more so to window shop ( unless he's school shopping or shopping for a gift) and have lunch/dinner. At our local Mall, most of the children go to the food court and just walk around and hang out. I believe the biggest part of surviving the summer with children is having a plan and a budget. 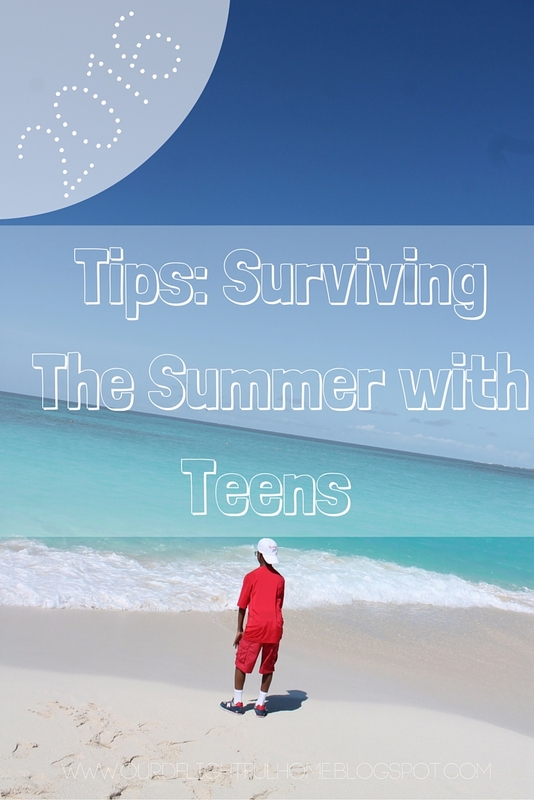 What are your tips for surviving the summer with teens/children?